One of my favorite quotes I learned years ago from my Compassionate Friends… These words, which can apply to any kind of loss, and when given to others can make all the difference. 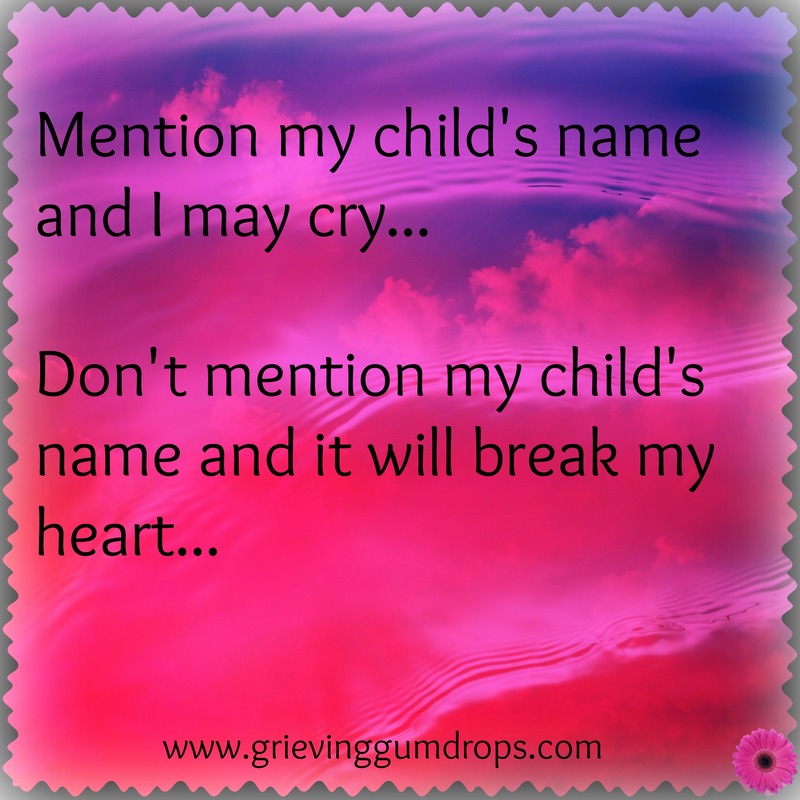 There’s just something about hearing your child’s name (or loved one), which brings tears of joy to the heart… Just by mentioning their name you can bring drops of sunshine to a hurting heart. Yet unfortunately, it doesn’t happen often enough. A simple way to bring a smile or a memory to those who need it most. Who do you know that needs to hear their loved ones name? Just beautiful. I lost a baby at the beginning of the second trimester and her name still means so much to me. Always will. Thanks for sharing this. Btw, im new on FB and I’m coming over to like your FB page with my page. So sorry for such a tragic loss. May I ask her name? They are forever in our hearts, everyday. Such a tender reminder, Daphne. Thank you for this and for your heart.